Beyond Meat is bringing a plant-based burger to Australian dinner tables. The Beyond Burger has all the juicy meat deliciousness of a traditional burger, but it is plant-based. The burger packs 20g of plant-based pea protein and has no cholesterol, GMOs, soy or gluten. It packs more protein and iron than beef but with less saturated and total fat than beef. Beyond Burger has been launched at Coles supermarkets across NSW, and in selected IGA stores nationwide. Joseph Romeo, director Romeo’s retail group and chairman the IGA committee, said there is a clear demand for plant-based products with the group’s customers. “We are excited to be among the first to bring the Beyond Burger to our shoppers. “As independent retailers we work with many innovative suppliers to launch new and exciting products,” he said. 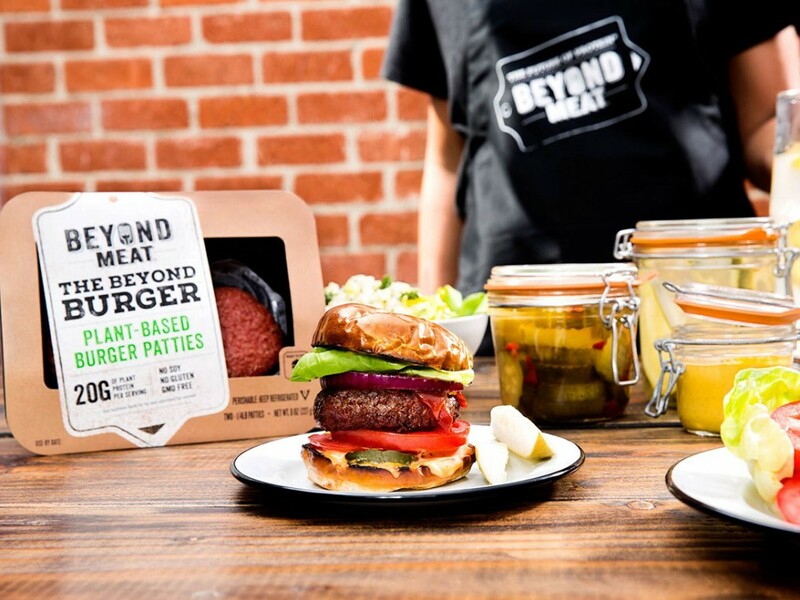 Beyond Burger is created using pea protein isolate, canola oil, refined coconut oil, cellulose from bamboo, and potato starch to deliver the unique texture of a beef burger. Trace amounts of beet lend the meaty red colour while coconut oil ensures mouth-watering juiciness. Harriet Wischer, category manager for BBQ meat in Coles Supermarkets, said the company trialled the product in 15 selected stores across Melbourne earlier this year and in some stores it sold out in hours. “Coles is proud to partner with Future Farm Co on the introduction of another innovative and delicious plant-based protein product on Australian shelves,” said Wischer. Beyond Burger’s RRP is from $11.00 per pack, which includes two patties.